PerfecTress® connections and tape wefts are made of 100% Remy cuticle human hair of the finest quality available. The Supreme Virgin Hair Line is superb in quality and longevity. These products are so easy to install and remove. The best part is that they are reusable for 1 year – no glue, no residue, no heat and no beads involved. 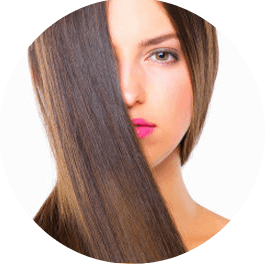 This system smooths curly, dry, unruly hair permanently with a revolutionary straightening system that uses heat to restructure the hair’s protein bond. The result? Smooth, sleek, shiny, straight and regenerated hair. The protein-based professional Yuko® system uses a specially designed, patented heat iron set at over 300° to seal in moisture. 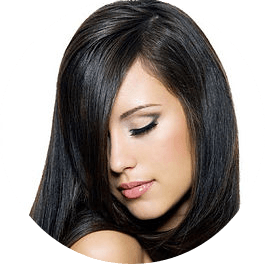 Once the cysteine bonds, hair can be molded into any shape. Heat consolidates the straightening process repairing and regenerating hair. The shine and softness are unmistakable. 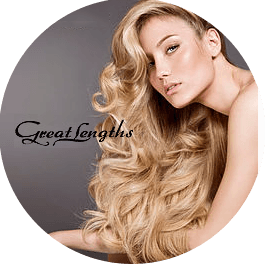 Great Lengths® technology for the application of 100% human hair strands has eliminated the limitations of decades-old technology for extensions. Length, volume or both can now be easily and gently applied without compromising the integrity of your natural strands. Stop dreaming about longer, more voluminous hair. Schedule a consultation today, and the hair you’ve always wanted can be your tomorrow.